This week in Star Track we’re featuring Mandeep K. Dhami, PhD, who is Professor of Decision Psychology at Middlesex University. She received her PhD in Psychology from City University, London, UK. Her research focuses on human JDM and choice, and risk primarily in the criminal justice domain. Her previous academic posts include the University of Cambridge (UK), University of Maryland (USA), and the Max Planck Institute for Human Development (Germany). Mandeep has also worked outside academia for the Ministry of Defence and for two British prisons. Mandeep has also won several awards, including from Division 9 of the APA and EADM. 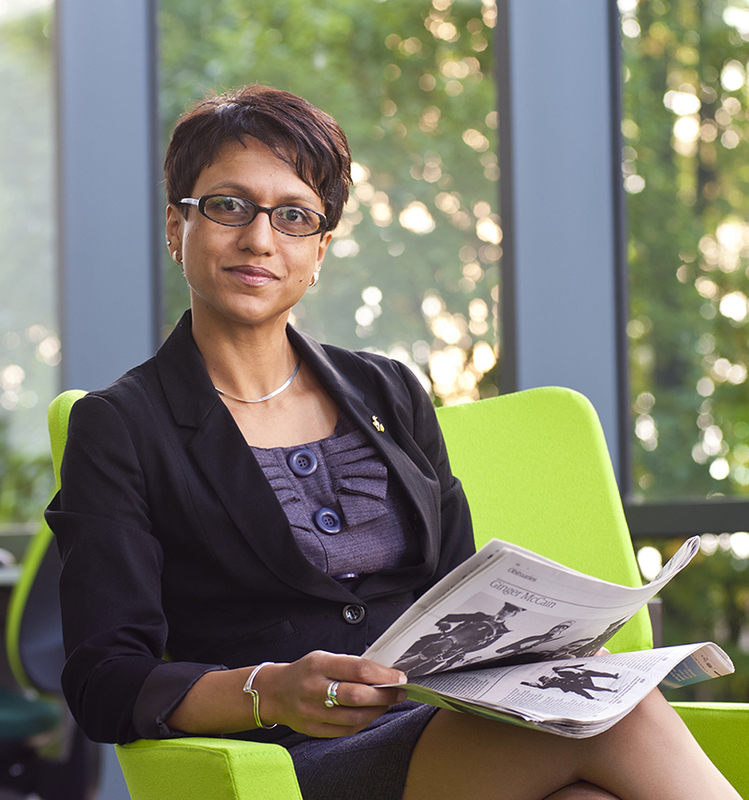 Mandeep advises Government organizations nationally and internationally on criminal justice issues, and has helped to establish a Restorative Justice Program in the City of Victoria, Canada. Mandeep is Fellow of the Society for the Psychological Study of Social Issues (SPSSI; Division 9 of the APA). She has authored over 80 scientific articles and book chapters, is the lead editor of the book Judgment and decision making as a skill: Learning, development, and evolution, and on the editorial board of prestigious journals such as Perspectives on Psychological Science. In her spare time, Mandeep is a competitive ballroom dancer, and has represented England in Latin formation. I wanted to pursue an academic career in this field because… Well, actually, I hadn’t planned on an academic career in Decision Science…things just worked out that way, and I’m very pleased they did. I had worked in prisons as an assistant psychologist while doing my undergraduate degree, and had wanted to go into prison management afterwards. However, a head psychologist encouraged me to do a PhD – saying my career in prisons would benefit from having a solid research background. So, off I went to do a Masters in Criminology followed by a PhD in JDM – and although I never did return to work in prisons, I’ve been back behind bars many times in the UK, US and Canada to study prisoner decision-making. Decision Science affords researchers considerable opportunities to conduct studies in a variety of field settings. I find the inspiration for my research mostly from the social world around me, and particularly from policy debates in the criminal justice arena. By starting with the problem first, I can be free to choose the most relevant theories and appropriate methods. Dogmatic adherence to theories and methods has blighted the development of social scientific fields, and doing research for the sake of doing research is a waste of opportunity. I want my research to ‘count’ – I want to change some aspects of the world I live in, and so I find myself conducting research to solve social problems. When people ask me what I do, I say “I study how people think and make decisions, focusing often on people in the criminal justice system such as offenders, police officers and court judges.” There have been several occasions when this simple question and answer has led to extremely useful feedback on my research as well as new research opportunities. The paper that has most influenced me is… Two books have influenced me hugely – Erving Goffman’s Asylums and Paul Meehl’s Clinical versus statistical prediction. Goffman taught me that to study people we need to see the world from their perspective,and Meehl taught me to question expertise rather than revere it. The best research project I have worked on during my career… I’m not sure how to operationalize ‘best’ – there have been some projects that have been fun to work on and others that made my ‘head hurt’ – both types of projects produced publications I’m proud of. But, given that I have about 3 decades before retirement, I’d like to think the ‘best’ is yet to come…. If I wasn’t doing this, I would be… If I’d gone down the prison management route, I’d probably be a senior civil servant in the UK Ministry of Justice or Home Office by now. The most important quality for a researcher to have is… In one word ‘resilience.’ Some of the most common phrases in academia include ‘rejected’, ‘declined’, and ‘unsuccessful’. What a lot of young academics don’t realise is that good researchers take this negative feedback and use it to improve their work – they don’t simply ignore it, and they certainly don’t just give up. The biggest challenge for our field in the next 10 years… We have too many effects and not enough explanations. Our field needs to develop process models that integrate different theoretical approaches, and that are tested under representative task conditions. This can produce more robust findin gs, and those that translate to the world outside the laboratory. My advice for young researchers at the start of their career is… Work on something you feel passionate about. This will hopefully mean you don’t give up when things get tough. Over time, you’ll learn to communicate the value of your work to others, and although they may not share your enthusiasm, they will come to appreciate your work, and you. The one thing I’ve found most challenging is… The slow pace of academia; the time lag from having a research idea through conducting the research to publishing it can be several years; patience is not a virtue that I can say I have much of. Fortunately, the time lag has been reduced in recent years with e.g. the introduction of ‘online first’. For more information on Mandeep, visit her page. In this first post of the resource scarcity series, Shereen talks about how we could potentially improve microfinance with the help of mental accounting. While there are many potential explanations for the flypaper effect, several people, including Richard Thaler, suggest that this may be due to the ways people categorize and make their financial decisions, something called “mental accounting.” Mental accounting explains that people group different types of spending into different mental categories or “mental accounts”, which may result in seemingly irrational behavior. The flypaper effect happens because people fail to mentally transfer money between their different mental accounts. Continuing with the food stamps example, if people have a certain amount of money in their mental “groceries” account, then when they receive food stamps, it is as if they have more money in their groceries account. Instead of mentally transferring this extra money from their groceries account to, for instance, their “gas” account, people behave as if they are richer with respect to food, and they buy either more expensive food or greater quantities of food. Although this could be a potential problem for the food stamps program, the flypaper effect could actually be used to improve microfinance initiatives in developing countries. Specifically, it could be used to get small business owners to invest more money and energy in their business. 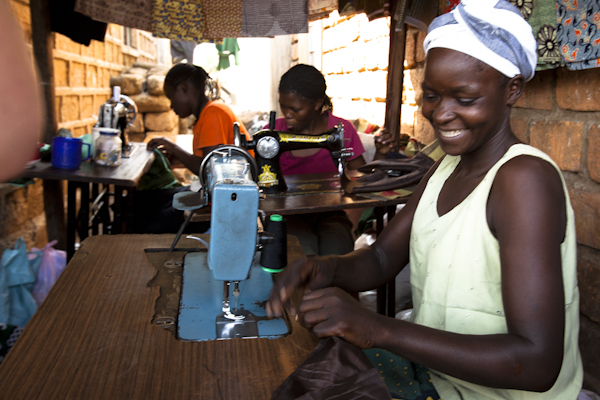 For example, when researchers gave small Ghanaian business owners equipment or materials for their businesses, they behaved as if they were richer with respect to their business account: They spent more money on business-related items instead of using the extra money for household expenses, and this improved their situation. This was not true for the business owners who received an equal value in cash. People also invest more money in their business if they receive a subsidy in an individual bank account as opposed to a joint (i.e., husband and wife) bank account. 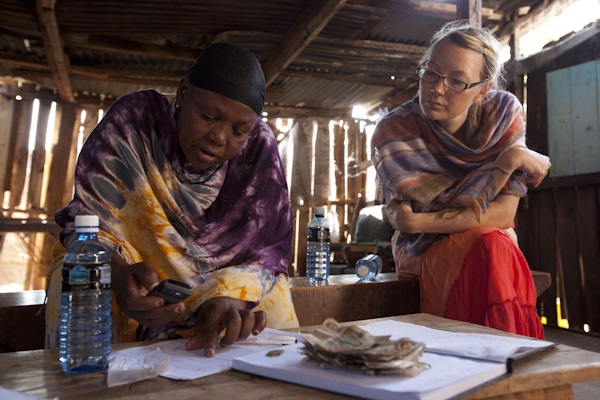 The researchers who discovered this phenomenon in rural Kenya argue that people “activate different behavioral savings rules” for these different accounts. People treat the individual bank account more like a “business account” and the joint bank account more like a “household” account, and thus, decide their account spending accordingly. Thus, even though mental accounting can cause people to make poor decisions, it can sometimes work in their favor. The studies I described above indicate that microfinance institutions will have more success improving small businesses with in-kind loans rather than cash loans, and also more success with subsidies to individual, as opposed to joint, bank accounts. Might the flypaper effect also have implications for encouraging other types of saving among the poor? Or more spending on education? Would in-kind grants for vaccinations or routine physicals encourage greater uptake of and spending on preventative healthcare measures? Resource Scarcity: Is Less Really More? Editor’s note: This week we’re proud to launch the first of our streams of curated content. These streams will introduce readers to different areas of judgment and decision making psychology, with our sub-editors bringing us their expertise in the topic. Each series will kick off with an introduction to the area, followed by a range of content such as interviews and posts discussing different topics. This first one on the impact of resource scarcity on decision making will be curated by Caroline Roux from Kellogg School of Management at Northwestern University and Shereen Chaudhry from Carnegie Mellon University. No matter whether we live in a resource-rich or a resource-poor environment, we are surrounded by reminders that resources may be insufficient to satisfy demand, which often inhibit us from acting on our needs and desires. Scarcity thus has important consequences on people’s judgment and decision making. Marketers have understood the appeal of scarcity for quite some time and have used it to sway consumers to want things more. There are however many other consequences to being exposed to scarcity-related cues or to living in scarce environments, which we are only beginning to understand. For instance, why are people willing to do all kinds of crazy things to get their hands on the best deals of the year? Why do poor people seem to always be making bad decisions (and are they really)? Scarcity seems to be a unique source of decision making errors and tendencies, which this series will attempt to unpack and explain. More generally, living in deprived circumstances can also exacerbate the effects of many other psychological motivations and cognitive biases. The desire to buy status-related items is equally strong in, but more detrimental for, individuals who can hardly afford to buy staple goods. While we all struggle with self-control and saving for the future, payday loans appear most attractive to people in the lowest income brackets, the people least able to afford the astronomical interest rates. Aware of the challenges that people living under extreme resource scarcity face, organizations like “Innovations for Poverty Action” and the “Corporation for Enterprise Development” are beginning to address such issues by leveraging lessons from the fields of judgment and decision making, as well as behavioral economics. In this series, we will present findings from behavioral research that helps better understand different consequences of resource scarcity. On the one hand, Shereen will take a “behavioral engineering” approach and present applications that help improve the lives of people living in poverty or developing countries, as well as other populations for which errors in human judgment and decision making are especially detrimental. Caroline, on the other hand, will present findings from different fields related to judgment and decision making to help explain the influence of scarcity in our everyday lives. We will cover a wide range of scarcity-related topics that will hopefully be of interest to you, readers of this blog, and we hope to stir your interest in this flourishing and fascinating field of research. Professor Mellers is the 11th Penn Integrates Knowledge Professor at Penn University. Her research examines how people develop beliefs, formulate preferences, and arrive at choices. She focuses on why people deviate from principles of rationality and how those deviations influence consumer choices and cooperative behavior. She is currently exploring how to elicit and aggregate probability judgments to arrive at the best possible predictions of uncertain events. She has authored over 100 articles and book chapters. She was a recipient of the Presidential Young Investigator Award and a past president of the Judgment and Decision Making Society. I wish someone had told me at the beginning of my career …that all careers come to an end. When I was young, I felt invincible, I thought I had all the time in the world. But reality caught up with me, and I have a different perspective now. Each research project might be the last, so each one should, at least in principle, be better than the one that went before it. I most admire people …who are clear thinkers, beautiful writers, big dreamers, and hard-core scientists. They work through the implications of their ideas and are their own worst critics. And they do it all in the most graceful and elegant way imaginable. The best research project I have worked on during my career… might be the one I am doing now on human forecasting. This is a large and long-term project that gives me the opportunity to work with many talented people with wide ranging and diverse skills. This project reminds me of an onion; we keep pulling off layers and finding more layers to go. It gets better and better. The worst research project I have worked on during my career…is the last thing in the world I want to talk about. The most amazing or memorable experiences when I am doing research….happen when I am surprised by the results of an experiment. I once did an adversarial collaboration with Hertwig and Kahneman, Kahneman described the process perfectly. When the data don’t turn out right, we suddenly gain 20 IQ points. Everything seems to make perfect sense in a brand new light that was completely obscure until that moment! Unfortunately, those IQ gains disappear when the surprise is over. The one story I always wanted to tell but never had a chance…is hard to imagine because there are always opportunities to tell stories. So I would never hold back on one that was worth telling. A research project I wish I had done…is something I always thinking about. If I wasn’t doing this, I would be in doing science in another field, and the choice of which field to pursue is a difficult forecasting problem. It is hard to know what areas of science will be the most exciting twenty years from now. The best fields to work in are ones that are changing fast due to the synergy of several good ideas and ingenious technological innovations. Neuroscience, astronomy, and genetics are good examples. The biggest challenge for our field in the next 10 years…is figuring out how we can make better judgments at individual, societal, and national levels. This goal applies to everything – medical decisions, career decisions, military decisions, romantic decisions, legal decisions, business decisions, policy decisions, and more. We need theories, but we also need to generate useful knowledge. That is the only reason why the public will listen. My advice for young researchers at the start of their career is…replicate everything you do several times. The truth, however hard it is to accept, is what moves science in the right direction and leads to progress. Admit your uncertainties; you aren’t the only one who has them. Remember that you can’t praise people too much (yes, we really are that shallow!). And last but not least, when in doubt, give credit to others. Time usually sorts things out. 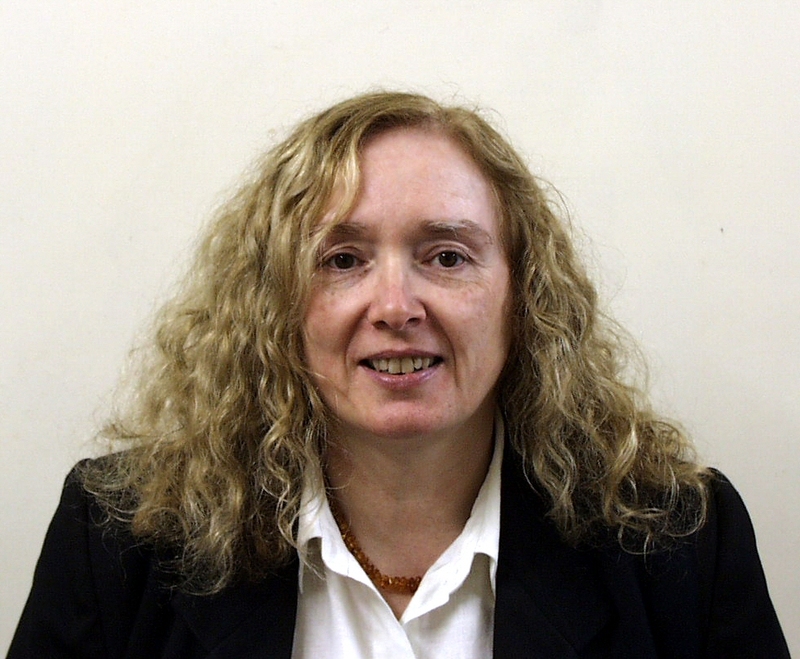 Barbara Summers is a Senior Lecturer in Decision Making at Leeds University Business School, UK, where she also serves as co-Director of the Centre for Decision Research. 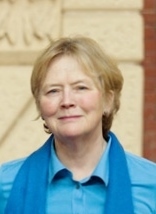 She has recently been elected to serve as President Elect of the European Association for Decision Making (EADM), and currently serves on the Society’s Board as Member at Large. Her research focuses on individual decision making from both cognitive and emotional perspectives, with application areas in health, marketing and pensions. Her work benefits from her previous commercial experience as Head of Systems Development at Equifax Europe UK. I wish someone had told me at the beginning of my career…… the advantages of walking and patience. Sometimes projects take a while to get going; you have an idea, but investigating it leads into slightly unfamiliar territory so you feel there is a lot of literature to get through. Or you might feel you have lots of bits of the puzzle but can’t see how they fit together. It’s human nature to want results quickly and to feel disheartened in these situations, but don’t – this sort of project can be the most interesting in the long run, so it’s worth being patient and working through it. I find the best way to trigger the “eureka” moment when the bits click into place is to stop thinking. Walking while not focusing on your thoughts or sleeping are really good ways to do this. The idea of sleeping on a problem usually works for me (and recharges your batteries). I most admire academically… because…There are a lot of people, but the work of Kahneman and Tversky on Prospect Theory had the biggest effect on me. I had been doing work in another field and realized that this theory gave a better explanation of some data I had than the traditional explanations in the literature. I was converted and decided to investigate the area further – well worth it! There are many others as I explore different aspects of decision making, but this was the first. The best research project I have worked on during my career…/the project that I am most proud of/ that has inspired me most….There are so many different ways a project can be best – and I have been lucky enough to have quite a range of experiences. Some projects broaden your ideas of how the world works (I feel this about the work I’m doing now on emotion), while others can produce real world impacts that are satisfying to see (I did work on a project producing decision aids for patients, for example, and another project helped a company predict and respond to customer needs better). Some projects can just be a good experience in terms of getting to know others. I try to see the best in all of them. The worst research project I have worked on during my career…/the one project that I should never had done…If you are doing research then some projects are not going to work. You might not get the results you want, you might even get results that prove you wrong. It’s frustrating, but most projects have some value in the longer term. The bad ones are ones you don’t enjoy working on. The most amazing or memorable experience when I was doing research….… is always the bit where the predicted results happen – I get a real buzz every time, because you now understand the world a little better. The one story I always wanted to tell but never had a chance…I used to be involved in organizing a professional conference (while an academic) and there was a project that needed real managers to take part in the research. I suggested we might use the future delegates for the conference, and we could give a talk on the results in my session in exchange for their participation. The project was trying to identify ways in which professional managers’ decisions in a particular field (to do with corporate failure/ creditworthiness) demonstrated expertise, and to make it more interesting we also got groups of lecturers who taught techniques for making similar decisions, and their students, along with a group of lay people to provide a comparison. The professional society helped us distribute the questionnaires and we put the talk in the program. Then the results came in. Lecturers and students generally performed better than the professional managers on the tasks, and in fact the managers were barely better than lay people (who really knew nothing about the subject area). Welcome to the conference talk from Hell – we had to stand up and tell people (who paid to be there) that they were hopeless at a job related task! A research project I wish I had done… And why did I not do it…I’ve not given up yet on any project I wish I’d done yet. If I still wish I’d done it, I still hope to manage it. Sometimes things drop off the list because I realise they won’t do what I want, but that’s it. If I wasn’t doing this, I would be……probably back (or still) in the commercial world. I spent a lot of time in Business Analyst type roles doing quite a lot of greenfield development projects, where the company was moving into new territory or the client wanted to do something but didn’t have anything in place. These have quite a lot in common with research, certainly in the thinking process, so are fun. Some of the ones I was involved in were international joint ventures, so I got some chance to travel and see other perspectives. Not quite as much fun as academia, but still fun. The biggest challenge for our field in the next 10 years…Getting the real world more widely engaged. We’ve had a burst of interest in behavioral work in the UK, with the government setting up a Nudge unit. There are however a lot of fields where more behavioral aspects could give real benefits in solving real world problems (like helping people make informed decisions), and in benefitting business too. Students who’ve taken the Management Decision Making course run by our centre regularly report how useful it is in their careers from interview stage on, giving them a perspective on avoiding pitfalls in decision making (I wish I had done it before being a manager myself!). I see many opportunities, but we need to keep up momentum to get there. My advice for young researchers at the start of their career is…Enjoy what you do – you do better on projects that catch your imagination. Make contacts and work with others – ideas develop faster with more than one person thinking about them. Establish what you need to get to where you want to be. When I got my first lecturing post the Dean of my School gave me a list of promotion criteria for the next grade up and told me to start ticking them off as soon as possible. I found this really helpful in getting established, as someone moving across from industry, but I think it would have helped anyway. If you’re in this position, I wish you all the success in the world and have great time – academia is a great job. 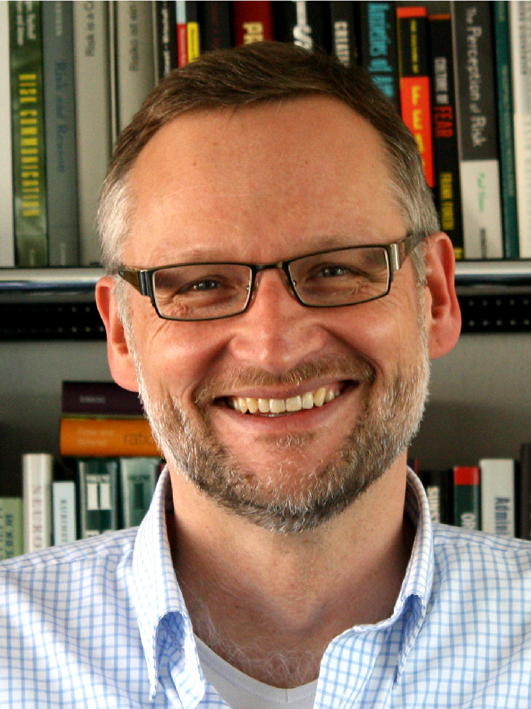 This week’s Research Hero is Ralph Hertwig, the Director of the Center of Adaptive Rationality at the Max Planck Institute for Human Development in Berlin. He received his PhD from the University of Konstanz in 1995. Before being recruited to take the prestigious role as a director at the Max Planck Institute, he was professor for cognitive and decision sciences and dean at the Department of Psychology, University of Basel. He has received many grants and awards such as Fellow of APS, and won the teacher of the year award for the Department of Psychology two years in a row. His research focuses on models of bounded rationality such as simple heuristics and on decisions from experience. He has co-authored two books, and written numerous articles in journals such as Psychological Science, Psychological Review and many more. I most admire academically… because…People whose writing I love, such as William James, Stephen Jay Gould, and Steven Pinker. For me, Egon Brunswik was also an extraordinary writer. Many people tell me his writing is difficult to decipher. But I have the feeling he thought very hard about each of his sentences and that each one conveys exactly what he wanted to express. The best research project I have worked on during my career…/the project that I am most proud of/ that has inspired me most….I’m most proud of the research projects where I teamed up with somebody from another field or another school of thought and we were able to produce something I could never have come up with on my own. Those sorts of collaborations have resulted in papers that I still find interesting when I peruse them today—for instance, work on the different experimental cultures in psychology and economics (with Andreas Ortmann); how to link the ACT-R architecture and simple heuristics (with Lael Schooler), and how to model parental investment with a single heuristic (with Frank Sulloway and Jennifer Davis). I enjoy starting a project in an area about which I know little and going home every evening with the feeling of having learned something new. The worst research project I have worked on during my career…/the one project that I should never had done…I can’t think of a “worst” project. But I have a most difficult one. It was an “adversarial” collaboration with Danny Kahneman (and Barbara Mellers as arbiter). With the explicit goal of agreeing on designs that, no matter the results, would settle our disagreements, we exchanged many, many e-mails to hammer out the details of our joint studies—to no avail. The fickle deity of data thwarted all our plans: we just couldn’t agree on how to interpret the results. It was a painful process, but I’m glad that we could cordially agree to disagree and gained respect for one another along the way. The most amazing or memorable experience when I was doing research….My most amazing research experience was as a student, when I was doing an internship at a psychiatric research hospital. I had the idea of applying signal detection theory, which I’d just learned in class, to analyze an existing data set. It was the first time I wrote little statistical programs, and I was amazed that they worked and I could get the computer to do what I wanted… well, after a lot of trial-and-error and cursing. It made me so happy. Even more so when my advisor told me my fledgling analyses had produced some new findings. They led to my first published paper. The one story I always wanted to tell but never had a chance…If I ever had one, I’ve already forgotten it, so it can’t have been that great a story. A research project I wish I had done… And why did I not do it…That would be a case study of Monica Lewinsky that never got off the ground. It was back in 2002. I was working at Columbia University (in Elke Weber’s lab), and a friend and I went to a public question-and-answer session that Monica Lewinsky gave at Cooper Union in Manhattan. I think we were all struck by how intelligent she seemed, how thoughtfully she related her experiences, and how plausible her answers appeared. In fact, we came away with the impression that there were two Monica Lewinskys—the one we’d just seen in person and the image the public had formed of her. And that got us thinking about research on the fundamental attribution error, which says we all tend to attribute other people’s behavior to personality while largely overlooking the situational factors. We thought Monica Lewinsky would make a fascinating case study of the fundamental attribution error, so we wrote her a letter—I recently came across it in my files—asking whether she’d be interested in talking to us…. Of course, the reason the case study never happened is that she never responded to our letter. We knew someone who knew someone who knew someone who was probably able to get the letter to her, so I do believe she received it. Who knows, if she had responded, the fundamental attribution effect might be known today as the Monica Lewinsky effect. If I wasn’t doing this, I would be…A political scientist. I can talk politics with friends and family for hours on end (ask my wife). The biggest challenge for our field in the next 10 years…If I had to pick only one—and I believe there are quite a number—then it’s to work together to integrate our theories. It’s been said that psychologists treat theories like toothbrushes (no self-respecting person wants to use someone else’s). I think there’s a lot to that, and we need to change this. My advice for young researchers at the start of their career is…To read to the right and left of psychology, and to discuss your ideas with everyone around you. In my experience, new ideas don’t simply come to you but often arise in conversations, while attending a talk, or over coffee with colleagues.